Those of you who either know me well or have followed the HR Derby from the 2010 inception know their is one MLB player I loathe (only because of the contract he received from Milwaukee and his performance on that contract). 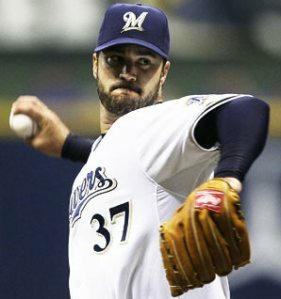 His name… Jeff Suppan. And what would be a Kings of Cork season without another Jeff Suppan sighting leading to another Jeff Suppan post. This story has a little more truth behind it than the last Suppan seeking second job story. For those of you who don’t keep close tabs on Suppan and his whereabouts, he was part of the Royals farm system in 2011. He followed that up with a brief stint with the Padres 2012 big league team recording 6 outings (1 quality and 2 wins) netting a 5.28 ERA. In 2013, he has not seen any offer he likes more than… running for congress? The GOP needs someone in California, so why not Suppan? He’s already used to the pay of a politician and he has the same performance as a politician on that pay. Just take a look at his 2007-2010 stats with the Brewers $40M salary for those 4-years. I rest my case and will vote for Suppan for congress and 2016 president. Have you caught up on the latest episode of The Space Jays. If not, you should. And it should also be a requirement for every MLB team to have a cartoon series. Once you catch up on your Sunday Morning cartoons at work on Monday, make sure you fill out your 2013 Kings of Cork Home Run Derby Entry Form. There is less than a week left before the entry deadline. Now that we have taken care of the business portion, let’s start pull out the hype machine and set it to hyper drive. In 2010 there was Stephen Strasburg, in 2011 there was Eric Hosmer and Desmond Jennings, in 2012 there was Bryce Harper and Magical Mike Trout. So who will it be in 2013? Let me introduce you to Jurickson Profar and Wil Myers. Jurickson Profar – What a great baseball name. Obviously, Jurickson was not playing for the US in the WBC. In fact, his team is still playing and are strong favorites… The Kingdom of the Netherlands. Jurickson doesn’t have the hype that either Harper or Trout came with, but he has 20HR-20SB potential. Possibly even 20HR-30SB potential (he definitely has more speed than power). There is only 1 problem… he plays for the Rangers and is a SS by trade. The Rangers already have a log jammed infield. Beltre at 3rd, Andrus at SS, Kinsler at 2B. At this point, Profar will not be starting in the majors this season. The Rangers will either need to convince Kinsler to move to the OF or find someone to take Kinsler or Andrus in a trade. Regardless how Jurickson gets to the Majors, when he does arrive, he will be a staple in any fantasy baseball lineup thanks to his offense and eligibility at 2 fantasy scarce positions. Wil Myers – At first glance of the photo you might catch yourself saying ‘The Royals have another top prospect?! How do they find all of these studs and not make the playoffs in 20+ seasons?’. But then you would be wrong. Not about the Royals not finding the playoffs, but about Wil Myers being a Royal. During the 2012-2013 offseason, the Royals shipped out the #1 MLB prospect for some pitching staff help from the Tampa Bay Rays (James Shields and Wade Davis). Myers fits into any MLB organization as a top outfielder and has plenty of power. He displayed his power in 2012 minor leagues belting 37 homers in 522 at-bats. He isn’t stagnant either. In 2010, he stole 12 bases, so double digit steals isn’t out of the realm of possibility. He has a problem that is different than Profar’s… he now plays for a money conscious team who will most likely delay his major league debut in 2013 to help delay his arbitration deadline. The Rays can’t keep him hidden forever though, and Wil Myers should see the Majors by June. Myers comes with a lot of hype as the #1 MLB prospect, so some fantasy owners are going to sit on him for those 2 months and not take the chance of needing to claim him off waivers. Profar and Myers may not make their debut at the beginning of the 2013 season and they definitely will not put up numbers that Trout did in 2012 (no one will). But these are the two names you should at least familiarize yourself with for the 2013 AL Rookie of the Year considerations. Kansas City Royals Becoming Baseball Royalty? All seems right on Earth now that baseball has started back up with the preseason is in full swing. There are several choices on the baseball menu. The choice between watching Spring Training in Florida or Arizona or even watching some Worldly Baseball. Heck, if you like football just as much as baseball, here’s a team combining the two sports into one. But the biggest news of the preseason are the undefeated Chicago Blackhawks Kansas City Royals. Yes, you read that correctly. The Royals are tearing up Arizona baseball. They are sitting at a crazy 11-0 record and Kansas City fans are probably rejoicing thinking this is their year. For those that know me, I’ve been praising the Royals for the past several years due to their prospects in their farm system. But, year after year the Royals have simply disappointed the fans and experts. In fact, the Royals haven’t tasted the playoffs since 1985 when they won the World Series. This season the Royals kicked up their offseason up a notch and traded their number 1 prospect (Wil Myers) to Tampa Bay for two decent starting pitchers in James Shields and Wade Davis. This doesn’t seem like a big deal but it is. The Royals had one of the lowest inning eating starting rotations in 2012 which managed only 69 Quality Starts (3rd worst in the MLB). 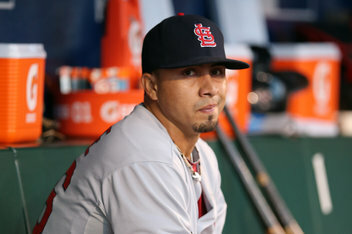 Their entire pitching staff ERA was 4.30 which was the 8th lowest in the 2012 season). So did they need pitching… yes. Did they get the best… no. Did they give away the next Mike Trout… maybe. But the front office is making a statement to their fans that ‘this is our year’. Their offense is young but stellar. They managed to have the 7th highest batting average and 6th most hits in 2012. And their offense will just be getting better as their young players mature another year. So, does their 11-0 Spring Training Record mean anything? The Angels and Dodgers hope Spring Training records mean nothing (Angels are a pathetic 2-8 and the Dodgers are 4-6). While Seattle hopes their records win them the World Series (Mariners are 10-2 and could destroy the Angel fans’ dream team). Baseball fans everywhere will just have to wait until October to see how accurate the 2013 Spring Training foreshadowing is. I’m rooting for the Royals and Mariners.